It looks like Michael Reardon is gone. 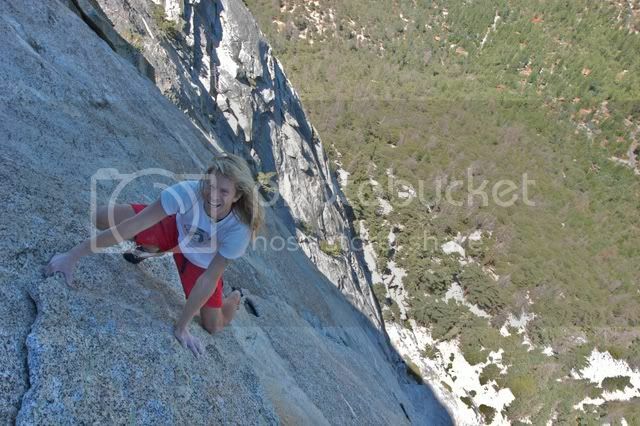 He was famous for his free solo climbing of routes at Joshua Tree, Tahquitz and in the Sierras. He routinely climbed at a high level of difficulty with out any backup system in case of a fall, so it didn't surprise me when I heard the news. But, he didn't die in a fall; he was pulled out into the Atlantic by a huge wave in Ireland. Weird. I met him once out at Tahquitz in Idyllwild, but didn't recognize him. We just said "hi" to each other on the trail like any other climbers would. Then later I read that that day he had free soloed The Vampire. I would be feeling pretty badass to get up The Vampire with any number of ropes and/or partners. Michael did it with just a pair of climbing shoes and a chalk bag. It kind of makes my guts drop into my shoes just thinking about. He leaves a wife and teenage daughter behind which is, of course, tragic. He also leaves the climbing community with one less character who exemplifies the incredible mental focus and love for the physical challenge that drew us all to the sport and keeps us climbing still.